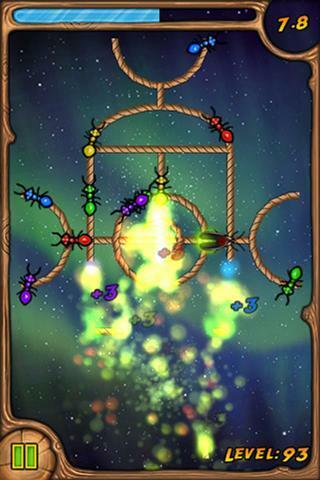 Burn the Rope is a challenging game where you try to burn as much rope as you can in each level. There’s a catch! The fire only burns upwards, leaving you to tilt and turn your phone to keep your flame alive! As you progress through the levels, you’ll encounter bugs crawling along the... see more Burn the Rope is a challenging game where you try to burn as much rope as you can in each level. There’s a catch! The fire only burns upwards, leaving you to tilt and turn your phone to keep your flame alive! As you progress through the levels, you’ll encounter bugs crawling along the rope. Different bugs have different reactions to the flame. For example, the ant changes the color of the flame so you can burn different colored ropes, and the spider shoots out a web bridge so you can access parts of the level that you could not before. • 232 exciting levels with more coming soon!